2018 was a big year for us! 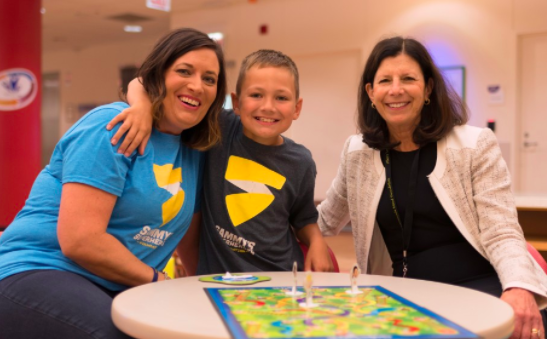 We are grateful for the generous support of our communities, volunteers, donors, sponsors and all who help us to continue our mission to raise awareness and fund life-saving research for ALL types of childhood cancer! The mission of Sammy’s Superheroes Foundation is to raise awareness and fund live-saving research for ALL types of childhood cancer. Give a little or a lot. No matter the amount, everything helps! It’s a common saying for non-profits, but when you hear that only 4% of federal funding for cancer research is dedicated to childhood cancer, we truly mean every little bit can help! So whether you are donating once a year or giving a small donation monthly, you know you’ll be helping fund critical research that can save the lives of so many children. Help us fight for them! Sammy's Superheroes pledged $400,000 over the next 4 years! Dr. Cohn at the University of Chicago is working on a groundbreaking way for researchers all over the nation to be able to work together to find a cure quicker. 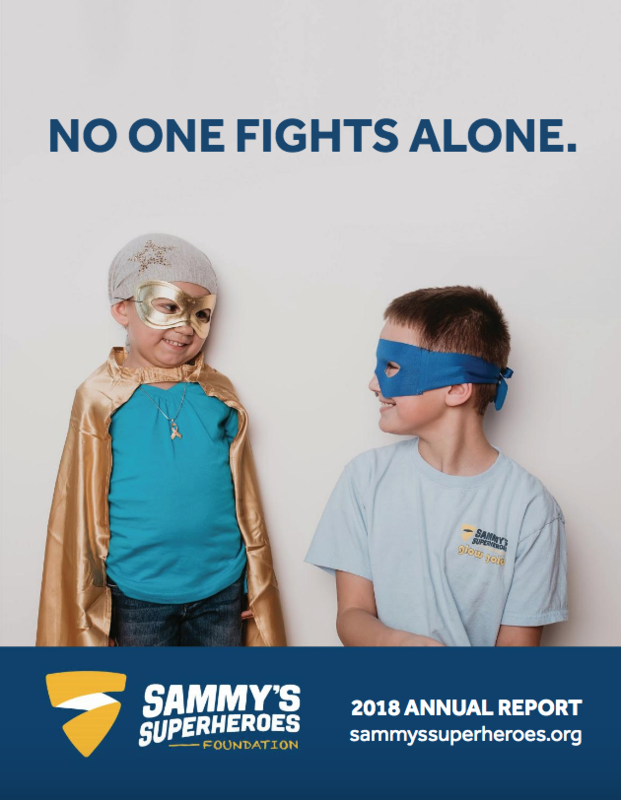 Sammy's Superheroes Foundation's mission is to raise awareness and fund life-saving research for all types of childhood cancer. We are paving the road to a cure! Learn more and get involved. Amplification of the gene MYCN is a well-characterized genetic alteration in NB and is directly associated with advanced disease and poor prognosis. Besides MYCN amplification, several other genome alterations in NB have been reported. Notably, deletion of the long arm of chromosome 11 (11q deletion) is one of the most frequent events in aggressive neuroblastoma. Our friends over at Strictly Business wrote an article about the importance of donating to non-profits. Sammy's was mentioned in it and we are so thankful! Sammy's Superheroes Foundation teams up with Lolo's Angels in their first Sidekick program parter to donate $30,000 to fund a Children's Oncology Group AML project aimed at finding modern treatments for pediatric Acute Myeloid Leukemia (AML).